If you were to ask my husband, he would tell you I'm a rule follower. Okay, so perhpas it is not a rule, but I clearly don't follow the recommendation or protocol of always cleaning my stamps after using them. Nothing like a little Blackberry Bliss ink on a White Craft ink pad. Cut apart a card base and use it on the inside of a card? Yes, I did that. And while I was at it, I stamped a sentiment on the upper flap of the card instead of where you typically write the message. And, I completely disregarded the instruction sheet from the Hip Hip Hooray kit when designing this card front. Don't get me wrong, all the suggested cards on those instructions are fun and fabulous, but I just was not up for following the "rules" when making this one! Combine together the Hip Hip Hooray and Dude, You're Welcome kits and you can create more than 30 cards from the contents and have several fabulous stamps to use again and again and again! Click here to order your favorite Stampin' Up! kits today! And, remember, if you don't want to, there's no need to follow the "rules" when it comes to your crafting! I'd love to know, are you a rule follower or rule breaker when you craft? Be sure to leave a comment. And a quick reminder, new weekly deals start today! I love Stampin' Up! kits! Let's face it though, it is hardly a secret! 3. They make fabulous gifts! The photo you saw today is of three cards made from the Happenings Simply Created Card Kit. The kit makes 15 cards in total and that allows you to given a dozen assembled cards as a gift and to keep a few for your own used! The kit includes some bling in terms of shiny silver tone buttons and silver baker's twine although I did leave those off as I have another projects in mind that will use them! The stamps I choose to go with the kit are A Dozen Thoughts and most stamps in the set work well on the pennant shape. There are plenty of other choices for sentiments...this one simply worked for me! What is your favorite Stampin' Up! kit? I'd love to know! If you've not yet used a Stampin' Up! project kit, give one a try! Click to view all Occasions catalog kits, and, to see all other kits, click here! Hip Hip Hooray for Pals Paper Arts! All total I think it took 20 minutes to take out the kit, make the cards, photograph watermark, and email off the image above for the PPA post. This was smack between pre-school drop off, an emergency dentist appointment, and pre-school pick-up. This is just sometimes how life goes! There are more cards yet to make and I will share those once I do! While I did glance at the suggested cards from the kit, I did not CASE any. So now you have 12 alternate options for cards to make! With the Hip Hip Hooray kit, the kraft bases are nice and sturdy and all the shapes you see already have adhesive on them! The kit does contain some Stampin' Dimensionals, Baker's Twine, and little clips, however I left all those off...for this batch anyway! With 20 cards in the kit and 12 made, I have plenty of opportunity to have some fun with the 8 additional cards! The Hip Hip Hooray kit would be perfect for a girls night out or an activity at a birthday party! It would also make a wonderful gift! The "thanks" stamp that I used on the cards comes with the kit PLUS there are two additional stamps! Truly, an incredible deal! Be sure to see what the rest of the design team projects and play along with us this week over at Pals Paper Arts! Right after typing the title for this post I had to Google it to be sure that there was nothing derogatory behind...thankfully there is not! 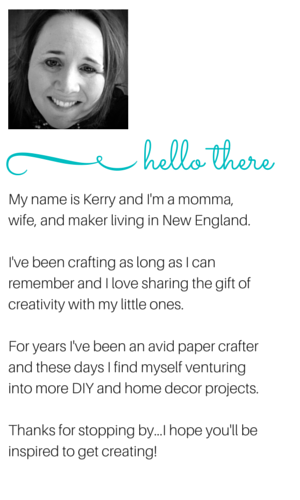 As we wrap up the weekend, I wanted to take a minute to talk with you about Stampin' Up! kits because I am positively hooked on them and think that you will be too if you give them a try! On Friday, I held my monthly papercrafting gathering and everyone assembled the Hip Hip Hooray card kit. What an amazing value! Twenty cards, three fabulous stamps, and a Stampin' Up! The only thing you need to assemble the kit is a pair of Paper Snips and sticky note to do some masking (alternately a Stampin' Write Marker works). I think everyone had fun assembling these and I also gave a live demo of how to make the boxes with lids that I shared last weekend. In my book, this kit is a great investment and can easily yield a couple fabulous gufts for teachers, colleagues, or friends. Look at those incredible contents! What you see above is the contents of the February Paper Pumpkin kit. Six sweet little gift bags to make. When is the last time you saw adorable six gift bags with embellishments for $19.95 plus tax? I'll be sharing what I've done with this kit later in the week! As I said at my gathering on Friday, I really believe Stampin' Up! has really increased the quality and value of kits these last several months. I've been thrilled with every kit that I purchased from the Occassions catalog and think there is only one that I have yet to purchase! Now you may be saying to yourself, "Of course Kerry is going to tell us the Stampin' Up! kits are great...she stands to benefit if we buy them." And, yes, it is true, I do receive a small commission when you purchase your Stampin' Up! supplies from me...I'd be lying if I didn't. What I can tell you, though, is that I use and promote the products that I love and think you will too. Stampin' Up! is not the only thing I do -- I work outside the home three days week and do my best to focus my time and attention on family as possible while still juggling things like laundry, cooking, and with my blogging and other aspects of my Stampin' Up! business the rest of the week. Kits allow me to quickly and easily create fun projects to share with you...and that is just one more thing to love about them! If you have yet to purchase a kit from the Occasions catalog or to become a Paper Pumpkin subscriber, I encourage you to give one or both of these options a try! If you subscribe to Paper Pumpkin by March 10, you'll get your welcome kit this month and you'll also receive a FREE set of 2012-2014 InColor Markers! Happy crafting, friends! Thanks for stopping by! Wicked Fast Wednesday & the Stampin' Up! Weekly Review! It's time for a "wicked fast Wednesday" project and in fact you are getting two projects. Would you be shocked if I told I created these from a kit? After all the kitprojects lately, I am sure it is no surprise at all! With Valentine's a month away, it was time to start kicking things up a notch in terms of decor and these projects do the trick! WARNING: This first project may cause flashbacks to having to climb up the rope in gym glass OR making it through a recent CrossFit workout! Admittely, you likely have not climbed a rope with alongside 4 of your friends! Don't you agree though that this absolutely works for these little monsters?! These cuties come from the Monster Hugs Boy and the Monster Hugs Girl kits. Each kit contains 18 monsters so after buying 2 packs for Brooklyn to share at pre-school I had enough left over for the the projects today! TIP: The monsters do stay in place pretty well on their own when using the Natural 5/8" Chevron Ribbon. However, knowing how much the girls open an close the bedroom door where this hangs, I did add a little bit of tape to the back of each monster to be sure it stays in place! Can you just picture the monsters shouting this back and forth? TIP: Put away your ink pad and grab a Stampin' Write Marker to color in only the portion of the stamp that you want to use! TIP: Until you write or stamp on the back, do NOT apply the googly eyes...they make it really hard to get a solid stamped image. Trust me, these are "wicked fast" projects! So should you find yourself with extra kit pieces or simply want some monstrous decor this Valentine's Day, hope you'll give these ideas a try! NEW WEEKLY DEALS (Jan 14 - Jan 20 Only). Check out the latest batch of Stampin' Up! Weekly Deals. Love that this week includes the Chalk Tak Framelits, Alphabet Pressed Textured Impressions Embossing Folder, and the Notecard Envelopes in Kraft/Crumb Cake. WHOLE LOT OF LOVE: View the Whole Lot of Love Valentine products here. Available December 1-January 27 or while supplies last. NOTE: These are exclusive products that will not be available after the promotion. FREE MARKERS FOR NEW PAPER PUMPKIN SUBSCRIBERS: New Paper Pumpkin subscribers who sign up atwww.mypaperpumpkin.com/ between January 11 and February 10, 2014, will receive a FREE set of 2012-2014 In Color Stampin' Write Markers -a $14.95 value-with their Welcome Kit. I'm so delighted that you stopped by today! Thanks for visiting and do come back again soon! Kit week continues and today is all about the Mini Memories Simply Created Album Kit. It is a sweet little album and is so easy to put together! The album is going to be sent to one of our nieces so she can record fun memories from 2014. Before I show you my pictures, I will tell you that the photos don't do this little kit justice! Despite taking photos at a couple different times of day, the exposure just did not ever seem quite right. So thankful that Stampin' Up! has such a great image of the kit contents that I was able to share with you at the top pf the post! The die cuts -- I especially love that these do not contain any adhesive allowing you to use whatever you prefer (Multi-Purpose Liquid Glue was my choice). All the buttons, sequin, twine and clips that come with the kit...I actually used most of these for the birthday jar project I shared yesterday. Think beyond the possibilities of a basic mini scrapbook album! Do you have ideas on how to use this album? I'd love to hear them! Thanks so much for stopping by today -- enjoy your day! Order the Mini Memories Simply Created Album Kit today! This week you'll have a chance to learn more about some of the incredible kits that Stampin' Up! has to offer. The new Occasions catalog has several kits and I will be sharing project ideas for several of these, plus an upcoming Sale-a-bration kit and the Undefined kit! Yep, a big week of kits! Did you miss yesterday's post about the Occasions catty? Here you go! participating in the Occasions catalog product shares I am offering. Both are excellent options for those who want it all from the Occasions catalog! I'm excited to share all these fun kit ideas with you plus a few other projects along the way! How about you...what are you creating this weekend? Order your paper crafting supplies here.